Phoenix Arizona, a city of 1,5 million inhabitants, is located in the northeastern reaches of the Sonoran Desert. It has the hottest climate of any major city in the United States. 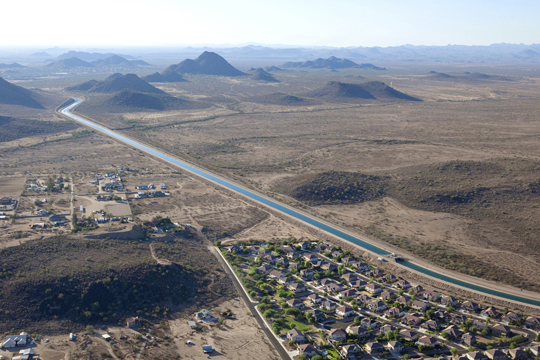 The city receives its water from the Colorado River through a 310 mile long (500km) water canal called the CAP (Central Arizona Project), that transports about 1.5 million acre-feet of Colorado River water per year.